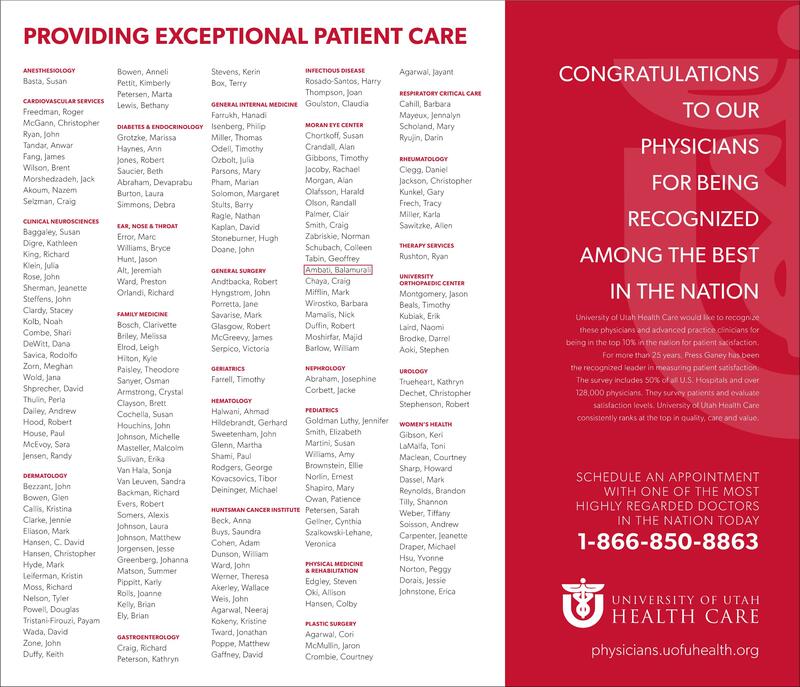 I am very excited to announce that I have been recognized among the best in the nation by the University of Utah Health Care. Myself and the other physicians and advanced practice clinicians included on this prestigious list are recognized for being in the top 10% in the nation for patient satisfaction. For more than 25 years, Press Ganey has been the leader in measuring patient satisfaction. The survey includes 50% of all U.S. Hospitals and over 128,000 physicians. They survey patients and evaluate satisfaction levels. University of Utah Health Care consistently ranks at the top in quality, care and value. Thank you to all of my wonderful patients!